Home / Playing / Does the bass guitar sound good when played solo? 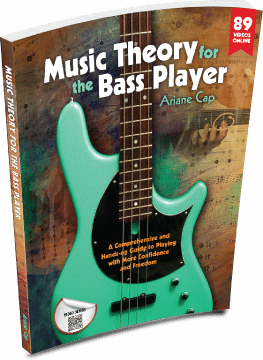 To some it is a sacrilege – using bass outside of the band context, using bass for anything but grooving in a band. I challenge that view – amazing solo bass music has been made. It is a very special sound – even though it is “just bass”, the variety of tones and textures solo bassists create is incredible. It is an amazing sound to my ears, and the variety of approaches is mind blowing! I list a few of my personal favorites in the article below. So, just bass? Well, why not? The above comments were harvested from various youtube comments sections. These arguments make no sense to me. I may not like a piece of music because it does not move me, but to just reject an entire way of using an instrument a certain way just out of some ill defined or implied principle seems wrong. If you are on the fence, interested, intrigued, to “go solo” a bit, go for it. I started as a bass player because I loved the supportive role the instrument has in a band, the groovin’, the “holding it down”. Then I ran into Todd Johnson, Steve Lawson, Jeff Schmidt, Dave Grossman, Michael Manring and the lot. And I fell in love with the bass all over again! With solo bass, you still get to do the groovin’ and holding it down, and then there is more you may do. It’s a beautiful challenge. Who are your favorite solo bassists? Comment here. My Quora answer is below. If your browser does not display the article in the box below, you can click here to read and watch.